When you think about taking a vacation to get away from it all, images of restful and relaxing places flood into your mind. That’s because there is a strong link between the environment in which we immerse ourselves and the way we feel both physically and mentally. With that in mind, it stands to reason that you should design your workplace with well-being as one of your top priorities. Looking out for the health of employees is not a new commitment. For some time now, entrepreneurs and managers have been providing discounted gym memberships, yoga, and weight management classes and even chair massages to bring about inner balance and stress relief. While all of these strategies are beneficial, they represent only the beginning of what can be done to promote overall worker wellness. It may initially sound like a strange concept, but the quality of the air in your office makes a huge difference. Mustiness, poor oxygen levels, toxins from chemicals and furniture can combine to leave your office smelling unpleasant. It might even be causing the spread of germs. To combat this stinky problem, consider installing an air filtration system. When it comes time to buy new furniture, purchase items that do not contain formaldehyde and other chemicals. Brighten up your space with beautiful, oxygenating greenery to bring your environment a natural, earthy feel as well as a breath of fresh air. No one would argue that our sedentary lifestyle is bad for us. Humans were meant to stand more than sit and move more than stay still. Most workplaces are set up with desks where everyone sits hunched over their computers. Stiff joints, back and neck issues are the inevitable result. Encourage the use of stairs by putting staircases in central locations, not tucked far away in inconvenient places. Instead of conventional desks packed into used or new office cubicles, implement a setup with several standing desks. You can even equip some with walking treadmills to further encourage physical activity on the job. Avoid jarring fluorescent lights in favor of natural or indirect sources. Ideally, let the sun in as much as possible. If it is practical to actually open windows to let fresh air in on nice days, you can lift people’s spirits even higher. Design a centrally located eating area with numerous healthy food choices. This will minimize people’s tendency to eat junk food at their desks while simultaneously encouraging employees to interact with each other in non-project situations. 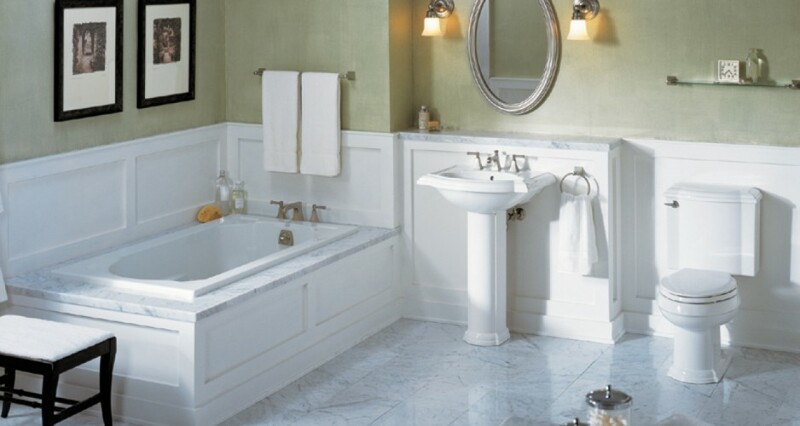 There are several reasons that could compel you to renovate your bathroom; and whether you have an immediate need or simply wish to make a change to a space whose aesthetical nature might have begun to bore you, it is important to realize not only how difficult the remodeling process can be but the expenses it can attract. Do not restrict yourself to a select few home centers (who are often limited in their offerings) when trying to acquire the necessary items for the remodeling process. And considering just how long orders from online stores can take to arrive at their destination, it is essential that you diversify, taking advantage of the wider variety of items and brands independent stores can often boast and at surprisingly lower prices. Do not settle for the very first store or center you encounter; look hard enough and you are bound to find deals wherever you look. Consider panning for storage in the shower area for your soap, shampoo, body wash and the like; and, as opposed to the ugly plastic units hanging from the shower head you will have acclimated to during your college days, consider complimenting your bathroom’s look with build-in-the-wall shelving, this eliminating the risk of knocking your shampoo bottles over as you move about during your bath.